It’s big. It’s flat. It’s……..
Flat Stella!! A visitor from my *first-cousin-twice-removed, Claire. Stella comes from Chicago and is hoping to have some adventures on Islesford before she heads to her next destination. 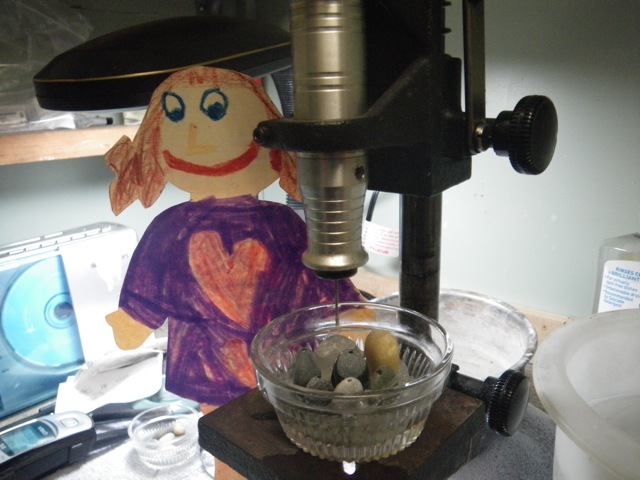 Of course, the first thing I showed Stella, yesterday, was where I drill my rocks. We thought about going outside, but there was a mix of snow and rain and Stella forgot to pack a raincoat. Stella asked me about the garden, and I told her we would check it out on Thursday if the weather was okay. Today was sunny and reasonably warm for a January day in Maine. 45°. 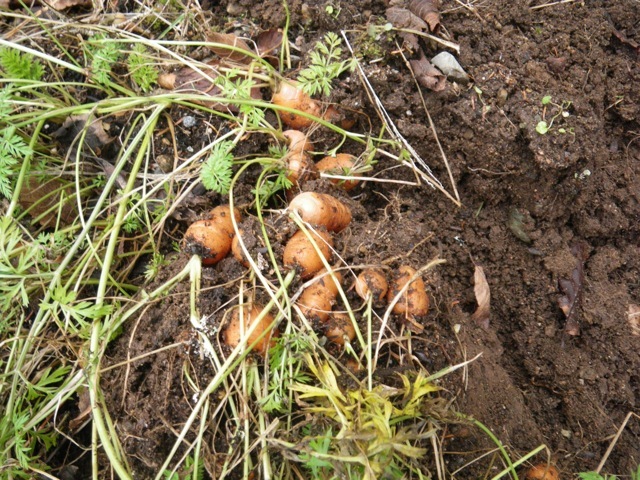 Very cold weather is predicted for the next few days, so this was our last chance to harvest the rest of the carrots I planted last summer. It’s kind of unusual that the ground is not yet frozen. Some of the small carrots were a little rubbery. I guess they had frozen and thawed a few times. But a surprising number of them were still very good. Stella was impressed. 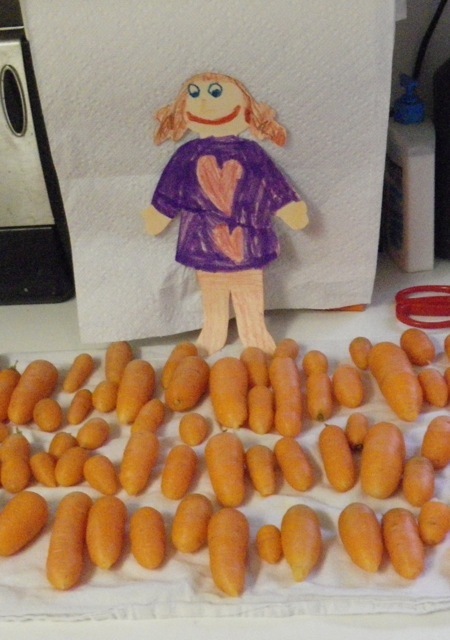 3 1/2 pounds of carrots in January! Pretty cool! Tomorrow, Stella and I will ride the mailboat. OMG! 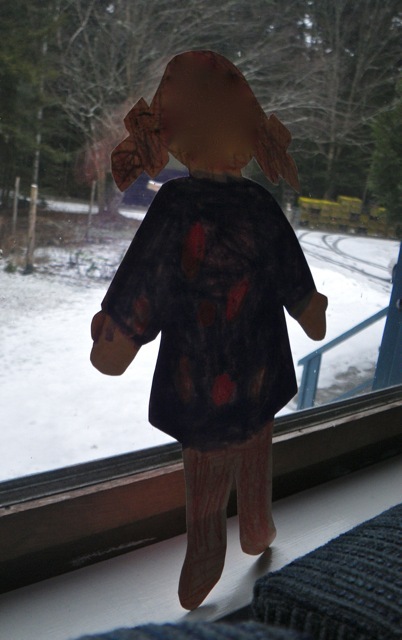 YEARS ago, I had a visit from Flat Stanley, courtesy of my niece! I cannot begin to tell you of the memories that just flooded my brain when reading your post!!! Thank you for that! BTW, I never was able to catch on to “generational” relationships! Patti, I’ve always been envious of other friends’ visits from Flat Stanley. Finally it was my turn! 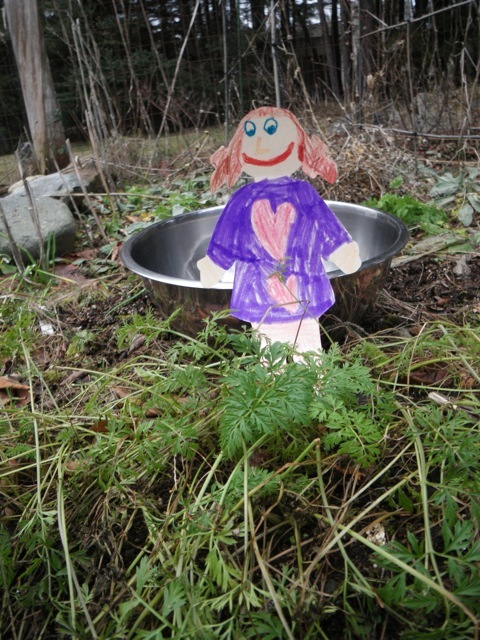 Flat Stella is having a great time! 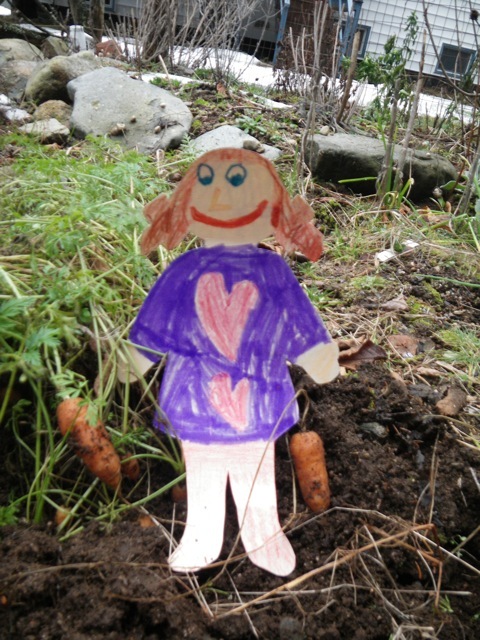 I hope Flat Stella or Flat Stanley want to visit Oregon some time! I’ve always wanted to host one of them, too. Phew – I’m glad you and I are just plain first cousins! But let’s see, are Meg and Kat first step-cousins once removed? My off shoot of the family tree is rather interesting! Correct as usual King Friday! You win a prize! I wonder if Claire and Joel and Ann have considered a visit to Aunt Zsash for Stella? Seems like the obvious next place to visit. I had flat Stanley once. I too showed him my jewelry studio! 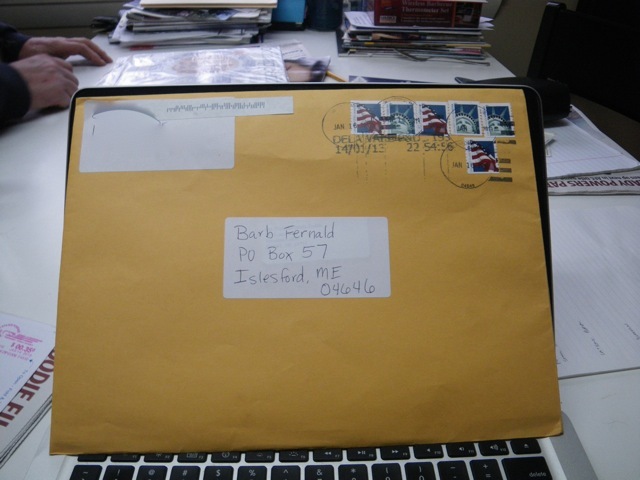 I am sure she will enjoy the mail boat. The best fun! Stellaaaaaaaa! is exactly what is going through my head several times a day! ha ha! Too bad Flat Stella couldn’t go to GCI to meet Hitty! Oooh, I never thought I’d envy a flat girl, but how lucky is she to spend some time on your island? Awesome. 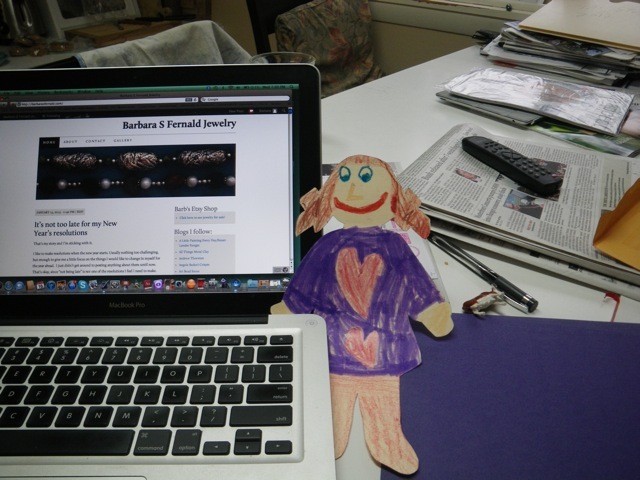 We had Flat Stanley spend the weekend with us last year and it was a lot of fun. Enjoy!